I bring you Homegrown Foods, a novel meal planning and grocery delivery service in the Twin Cities where foodie meets kid-friendly. This business is an effort to make cooking incredible meals fun and easy. To take the stress off of our collective plates, and bring some inspiration and fun to preparing dinner. As a mom of three small children (4, 2-1/2, and 6 months), I know how hard it is to put dinner on the table. But we’ve been recipe-testing for over a year and let me tell you, we’ve been eating goooooood. Well folks, now all the paperwork is in order and we are ready for you. This business started over a year ago when I first heard about the idea from my brother-in-law, who lives in Sweden. He and his girlfriend were trying the service Linas Matkasse (there are several there, Middagsfrid was the original) where customers sign up, then enjoy regular delivery of preportioned groceries for specific recipes. This conversation was on the heels of all the moms discussing the woes of figuring out what to make, going to the store, figuring out what goes with what, and how they just want to give up. 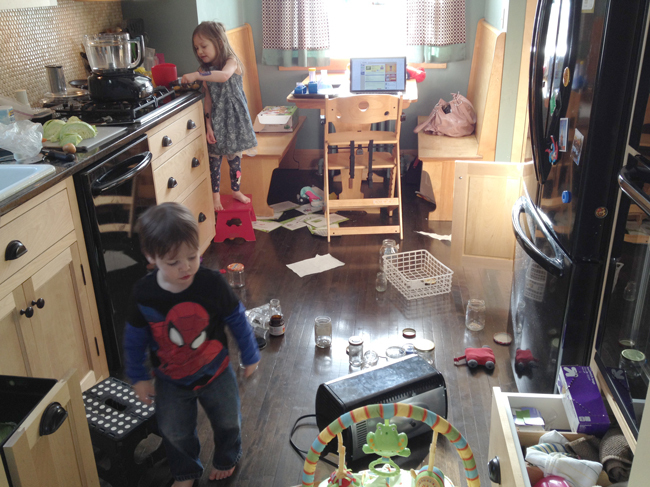 Like every other mom, more than once I have lamented, “Why do I even bother? !” Except I love to cook and that is what keeps me going. Like, I really love to cook…I’ll take cooking over cleaning any day (cleaning makes me grumpy). So when I heard the idea I thought, wow, that is a great service. Too bad nobody is doing anything like that here. I’d love to not have to worry about what next week’s menu is. With three small kids, it’d be a blessing to get to pass on grocery shopping half the time. Somebody should do that idea… I should do that idea! And so here we are, offering to make grocery deliveries containing four dinner kits for $8 per person. The cornerstone of Homegrown Foods is great recipes and great ingredients. I am sort of a snob when it comes to ingredients. If there wasn’t love put into producing that food item, I probably am not going to love it back. I’m gonna make sure you love your groceries. I want to bring you ingredients as if I was shopping for my own family, getting them from local, organic, artisinal producers as often as I can. Also, I am a stickler for authentic ingredients. Be it kaffir lime leaves or chorizo, you will need to substitute (or do without) no more. Each menu is composed of four dinners: a poultry, meat, vegetarian and seafood dish. If you are a couple, this should cover you for at least a week. If you are a family of four or five, about a week. (If you are six or more, you may want to have some extra grains or lettuce mix on-hand.) The menu changes every other week to take advantage of seasonally delicious ingredients. The recipes are from a variety of sources and are only included on the roster if they are amazing and relatively fool-proof. I dislike recipes where if one component is off, the whole dish fails. I’ve also taken the time to provide several cooking methods. Because we live in Minnesota. That means we grill in the summer and run the oven (or slow-cooker) in the winter. These recipes produce dishes that’ll make the neighbors’ noses itch with envy. I guess that is my litmus test: the kitchen should smell divine and everyone come running to the table for dinner.